From domestic and commercial installations and testing, our qualified plumbers and engineers are on hand to assist with a wide range of tasks to provide solutions for your plumbing and heating requirements. Our trusted electricians can install and test a large number of items for the home or business. From security and fire alarms, light fixtures and even car charging points, you can rely on our qualified team to complete the task safely and competently. Helping clients design and deliver projects from start to finish ensuring consistency and confidence in the build of loft conversions, extensions and renovations and even new build houses. With over 10 years of experience in plumbing, gas, electrical and building services, our highly qualified and knowledgeable team deliver each task with efficiency and excellence. 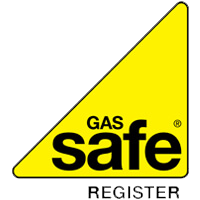 Covering across Bristol, Bath, South Gloucestershire and North Somerset, trusted by our affiliates, Gas Safe, Which, Checkatrade and household clients. We also have great working relationships with Builders, Mechanical & Electrical services companies, letting agents and landlords. You can rely on us for all aspects of plumbing and electrics that is delivered to a high standard whilst remaining cost effective.